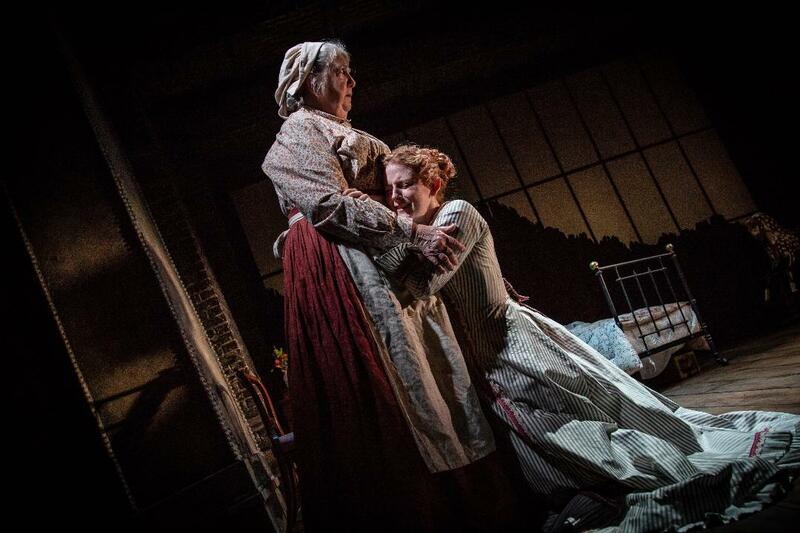 Review: Turn of The Screw (touring) Nottingham Theatre Royal – East Midlands Theatre. Co-produced by Mercury Theatre Colchester, Wolverhampton Grand Theatre and Exeter Northcott Theatre and directed by Daniel Buckroyd, this touring production of Henry James’ Turn of the Screw (stage adaptation by Tim Luscombe conceived by Dermot McLaughlin) is a mind twisting, otherworldly five star hit. There are only four in the cast (or are there?) Janet Dibley stars as The Governess, Amy Dunn is Mrs Conroy, Mrs Grose is played by Maggie McCarthy and The Man is portrayed by Elliot Burton. 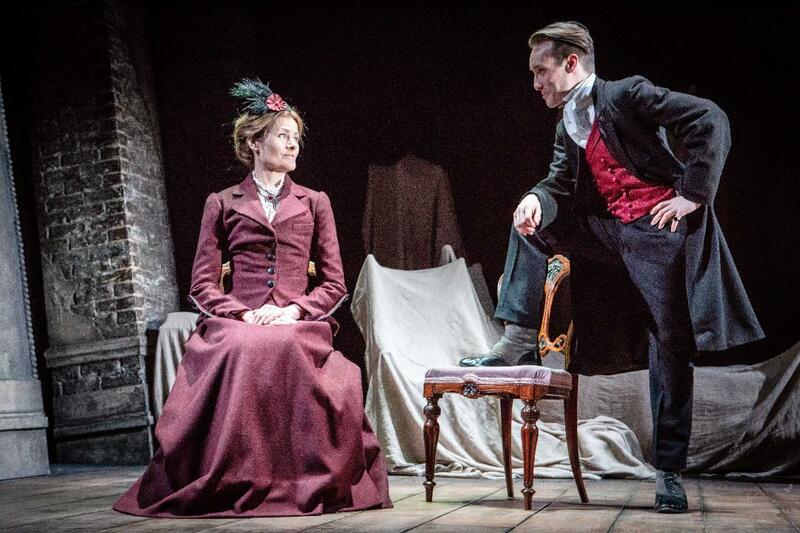 The piece is very intelligently written by theatre stalwart Tim Luscombe and even though the 1840s styled Gothic horror play is under two hours long including interval, like us, you will find yourself dying (is that an inappropriate definition?) to get back to your seat to continue your theatrical voyage into the dark unknown and barely uncovered Acheronian memories. Whilst things get more and more creepy and twisted in the second half to the point of straight faced melodrama, the increasingly anxious reflections of Dibley’s Governess, concerning two children to whom she has been entrusted to care for and educate, progressively get more ghostly and out of control manic. Confronted increasingly by her past, she is compelled to account for precisely what happened to her and the innocent children in her care. But are they as innocent as one might hope? 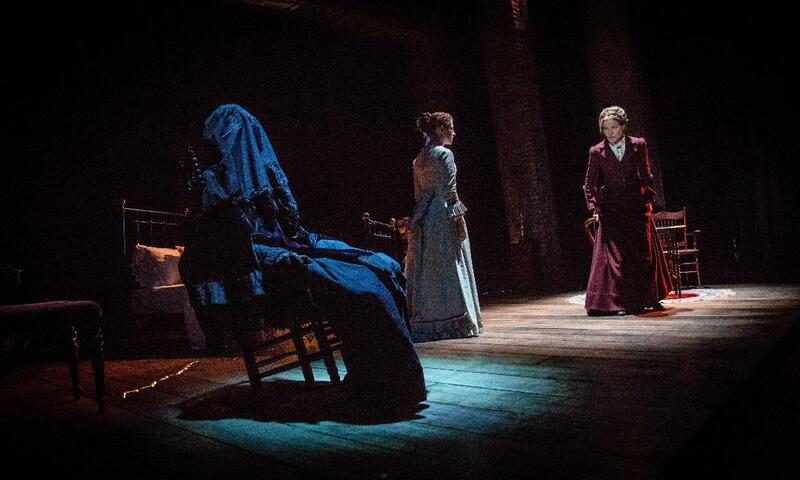 What strange power does the oddly behaved boy hold over the governess and will the continual taunts of the girl uncover the purpose of the ghostly visitations of The Others? Does ambiguity add strength to this theatrical drama!? Dibley, Dunn, McCarthy and Burton act their beautifully done Victorian socks off in conveying this most disturbing psycho-drama from Henry James’ super popular novella originally penned one hundred and twenty-one years ago. This play could easily be presented in an over done way but this proves to be a gift of a production with very believable and strong performances from all. At times it is scarily conceivable that there are more than four actors peopling the stage! The off kilter set design (Sara Perks) creates its own spooky atmospheres as it works in co-operation with David W Kidd’s excellent lighting design and John Chambers’ spot on electrifying sound design that helps to give us the shivers and more than a few jumpy moments throughout. 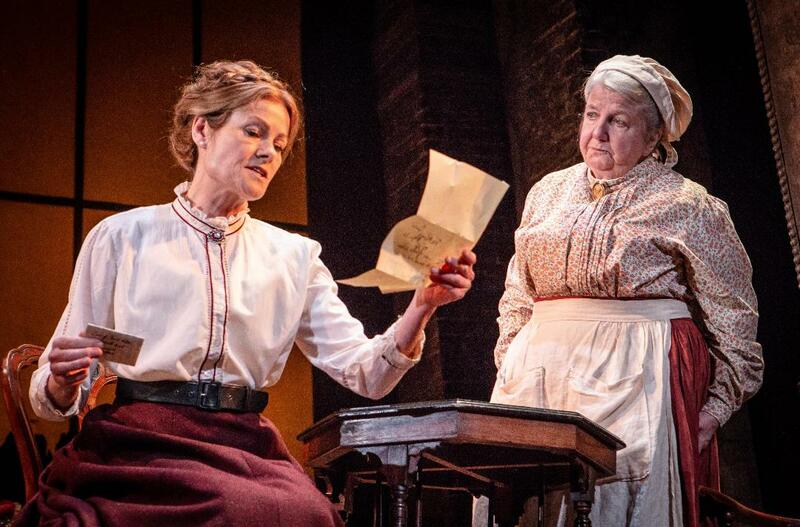 For a meticulously presented evening of ghostly goings on and written and acted in a scintillating spooky style that stays with one long after the performance we can highly recommend Turn of The Screw. 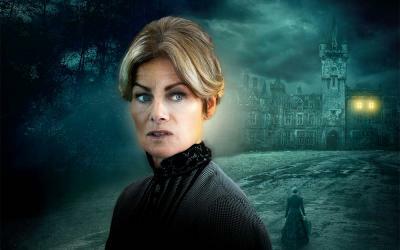 Turn of The Screw runs at Nottingham Theatre Royal until Saturday 13 April.